We would like you to know that we girl cats are very industrious & want to celebrate International Women's Working Day! We too can often be found in the office working away! PROOF can be found in Paprika's example above. 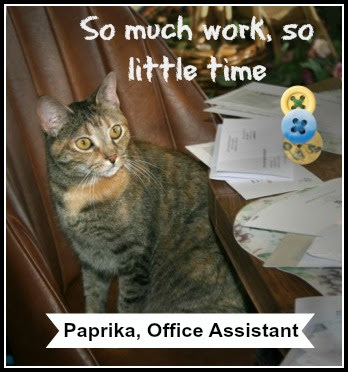 Paprika's worries: Of course being the worker of the two, it is I who often is left with the REAL worries of finishing all the paperwork! We hope you'll agree, we have presented absolute proof we are hard working girls. Don't you think so? Do YOU work hard? We wish all you girl cats a happy International Women's working Day! You both are doing excellent jobs, too. Extra treats for you! 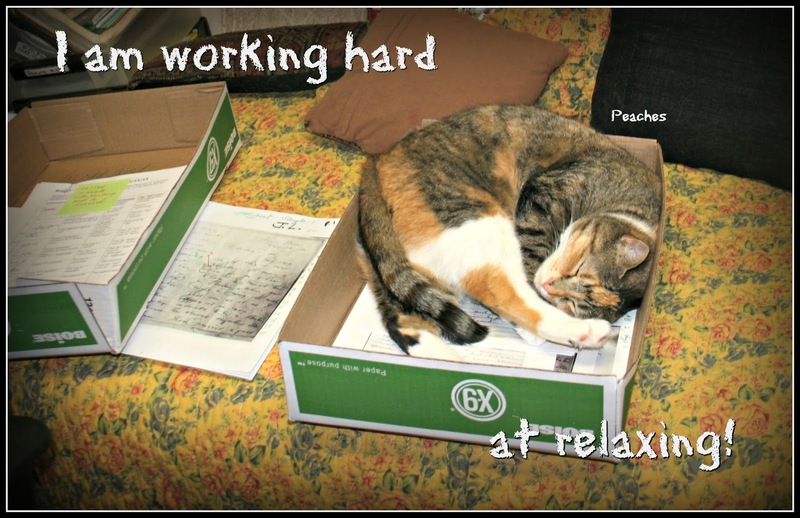 We're famous cat bloggers, of course we're hard working ladies! 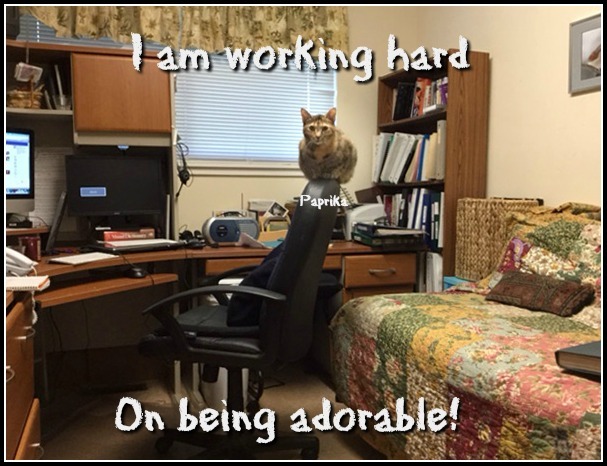 You are adorable and such hard workers.